I'm a visual person. Friends, that is probably why I can sit on Pinterest for umpteen hours and be totally content. I LOVE to look at pictures! So I thought it would be fun to give you a peek into the life of a first grader through photos. So here is our day! Well.... I tell you this will be a look through photos and then I forget to take a picture or two. As you also know, I like to talk, so I was chatting a bit with my parents, kiddos and teacher friends during the time I'm about to describe. When students enter they move their lunch stick, check their GO Book for important papers, choose a new Nightly Reader to put in their Go Book and do their assigned morning work. Then announcements come on, we say the pledge and move on to our day. Here come the photos! Every morning we start with our morning message. Today we looked for sight words in the message. Next we do a song book or two or three. My kiddos love these and so do I. It makes for a happy morning. It also builds student's fluency and gives my kids who are struggling readers, books that they feel successful reading. My favorite are these. (See mouth wide open, singing My Mother is a Baker by Dr. Jean. LOVE! Then we move on to poem. 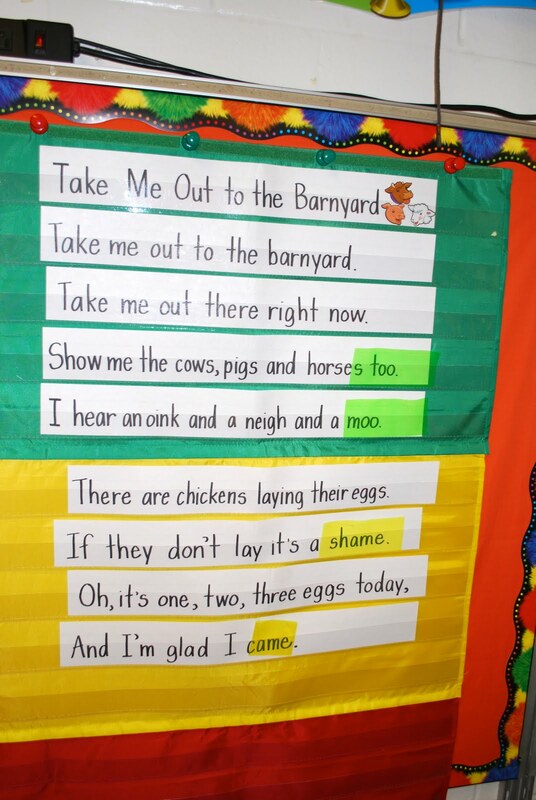 Our poem this week is "Take me out to the Barnyard." Today we listened for and found rhyming words in the poem. Next we do some review of curriculum learned previously, as well as practice our sight words. We almost always play a game and use our white boards. Here we are playing the eraser game. I write our 5 sight words down on my board. Then I erase one. They have to write the word that is missing. Then we reviewed short vowel sounds. After that we played the mystery number game. I choose a number one through 10. Then they ask questions to figure out which to eliminate. It's a great way to build number sense and see who has it, and who still needs practice. Here we are moving on to Calendar. While I really prefer my Smart Board Calendar, our first grade all share a Smart Board, so we have to use this for now. We are playing number thief below. The thief steals 10 numbers from the hundreds chart while my detective's eyes are closed. The detectives then open their eyes and find our missing numbers. This transitions nicely into math. We do Math Investigations, which I personally love. It's packed with games and fun activities that really give students a good understanding of numbers. Today we played 5 in a row. Students work together to roll two die, add together the numbers and strategically cover the numbers on their board to try to get 5 in a row. Insert a Bathroom Break here and then we come back for Reader's Workshop! 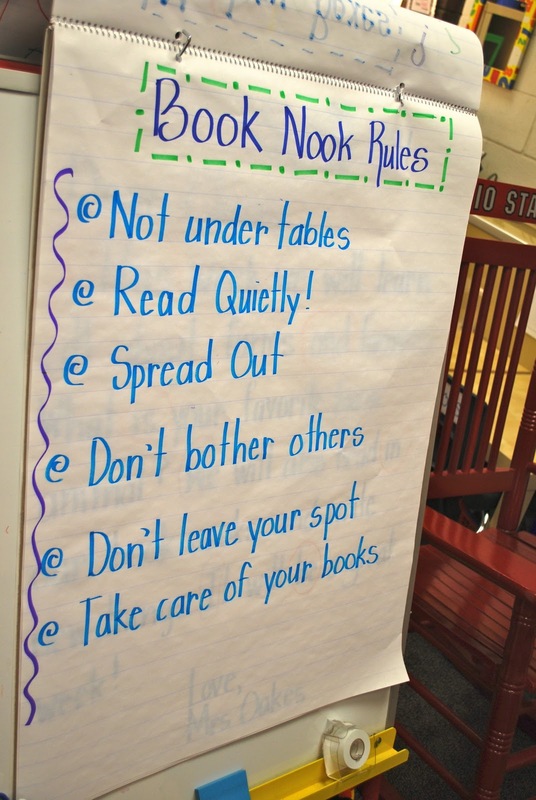 Today we did a lesson on Reader's Workshop Rules and Book Nook etiquette. We made a chart and review the chart from the previous day. 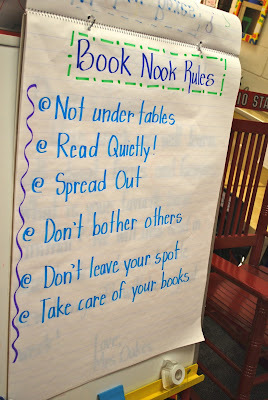 Then students read in their new book nooks and I did some guided reading groups and conferencing. All that work makes us hungry. TIME FOR LUNCH! When we return from lunch/recess we only have 15 minutes, which gives us just enough time for Interactive Writing. Our interactive writing is usually a 3.5 paragraph. One sentence each day about the theme we are working on for the week. This week was farm. Yesterday we wrote the topic sentence, "Farms are great places." Today we wrote a detail. As we write each word on the chart, my kiddos practice writing it on their white boards. I find this helps with teaching capitals, spaces, pulling out the sounds in words,etc. 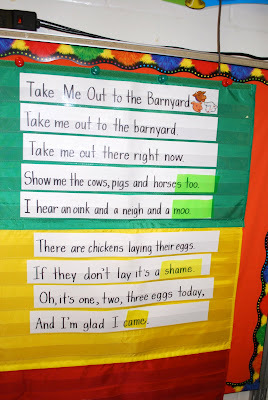 Then when we finish the sentence, I often have them find the nouns, verbs, homophones and more. Not yet though! We're only 2 1/2 weeks into the year. Now it's off to Special! Today we had Music. When we return we do Writer's Workshop. Our mini-lesson today was on Stretching Out your words when trying to spell. Mrs. Oakes can't spell every word now, can she? Mini-lesson...then the lights are dimmed, the music goes on and they write! Then we move on to handwriting for about the 5 seconds I have allotted for it. BAD TEACHER! Next is Social Studies. 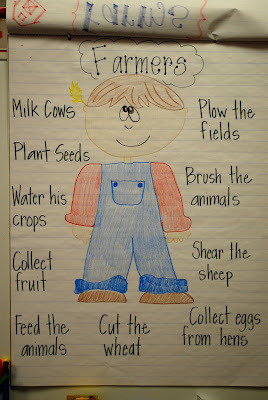 Today we studied farms and the jobs of farmers. We just started this theme today so I began with an Anticipation Guide to see what we knew. 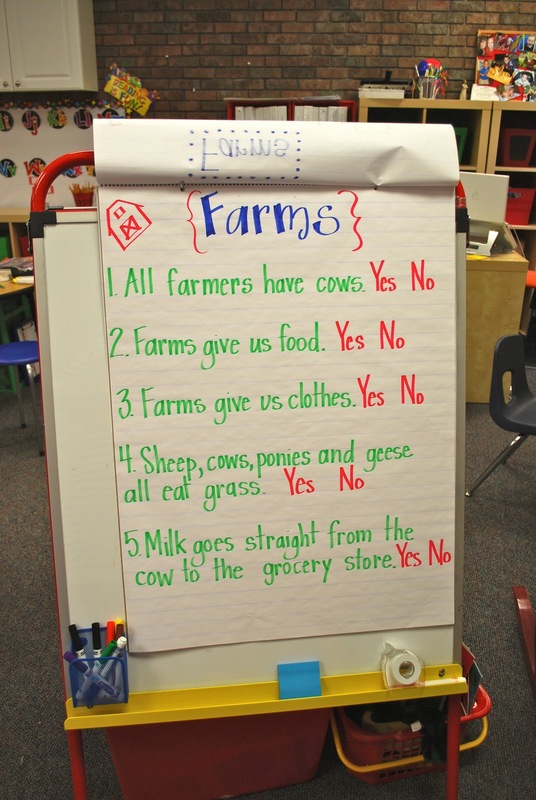 Then we read a book about farms and farmer's jobs. 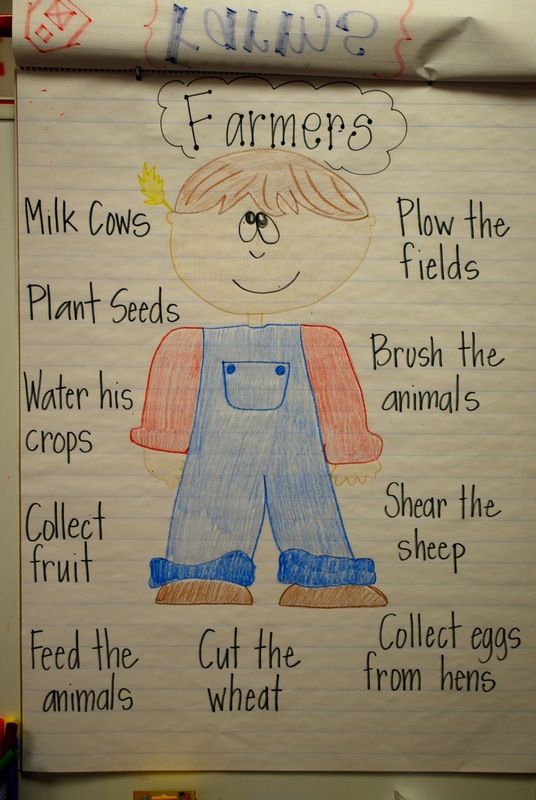 We made a mini-book about farmers and then we created this chart. Finally we end the day with Centers! I get in some more guided reading and conferences during this time. I totally didn't get any pictures of our farm centers this week, but I will. I'll be posting some farm themed centers on TpT soon! I also fit in some time to take these. 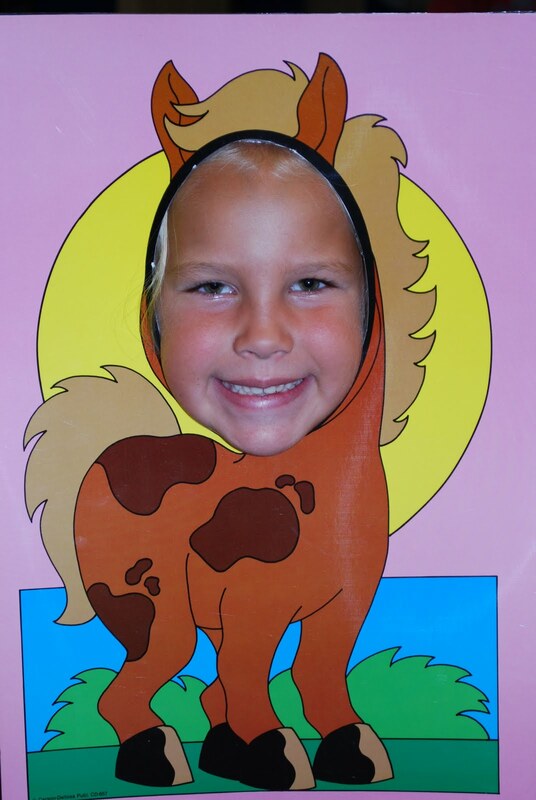 I can't wait until next week when we write about our favorite farm animals and can attach these! We have pigs, cows, roosters and more. You are just like me, a visual person!! I loved seeing a day in your classroom! I LOVE the number thief game, totally doing that tomorrow during calendar! Love this post! Investigations has really grown on me over the last few years since we started using it. My kids LOVE the games; I think they forget they are "learning," haha. They LOVE playing "Guess My Number" to find out Today's Number. OH MY WORD! I LOVE EVERYTHING ABOUT THIS!!!! 3. I love the number game you played during calendar....I'm stealing! Can I come visit your class??? I live in Michigan...how far would that be?? Email me...As a newer teacher I get to spend time observing other teachers...I think you would be awesome! Fun post!! I loved all your pictures!! I don't do a farm until until the spring. But, this would be a fun time to do it too! Love this post! What a great insight into your classroom. Thanks so much for sharing!!! Your first-graders are blessed to have you as a teacher! Thank you for sharing your day with us. The animal cut-out pics are precious...where did you find the frames?! Great post! I loved getting to peek in on your day. Keep the photos coming!!! I really enjoyed looking at what your class does. What a super post!!! You have got it all together:) I have a question for you...could you email me at tara.eiken1@gmail.com...I tried the email on your blog but it got sent back to me. 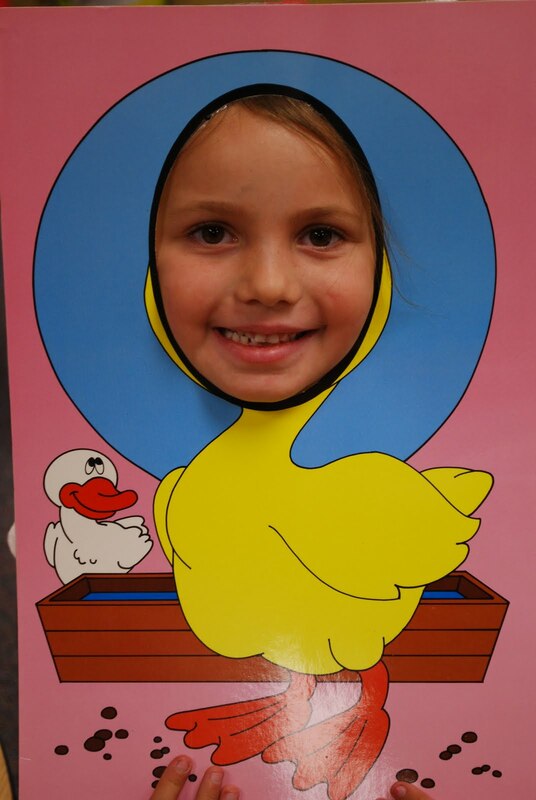 I love your Farm Unit and thanks for posting all the great pics of your activities! Love it! I'm trying to rework my writing and was wondering what it is that your students write when you are done with your mini lesson. Is it a new prompt each day, free writing, something that you work on for an extended time and conference over? I can tell from reading your blog that you are an amazing teacher. Where do you get your anchor chart paper? I have been trying to stock up, but I cannot find an affordable source! At Staples they only had sticky paper (post it, and store brand) and it was 30.00 a chart!